Nancy Wallace has accomplished a level of psychic ability which is almost unheard of. 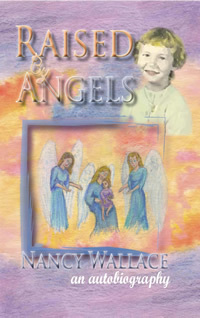 From early childhood through adulthood, Nancy has been guided by angels. 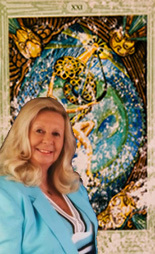 You will learn how angels have provided insight through precognition and interpretation of the Tarot. This extraordinary biography will help you understand the commitment Nancy has made to promote the understanding of psychic ability. Click on the Order book button on the top menu. Click on the picture at the left to read a brief biography of Nancy Wallace. PLEASE NOTE: I am not the “Nancy Wallace” on the Gypsy Scam List which is located in Chicago, Illinois. Watch here for news about Nancy Wallace’s new book, soon to be published. The What Do You Think Book (Pencil with an eraser needed, batteries not).